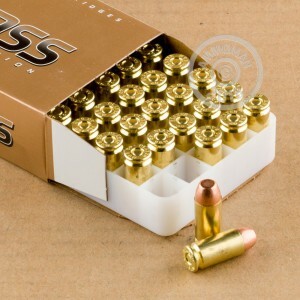 Newly manufactured rounds from the USA, these Blazer Brass rounds are ready for a full day training at the range! These full metal jacket or FMJ rounds are ideal for zeroing in on your grouping or training for that next shooting competition. They are accurate, well made, and reasonably priced. 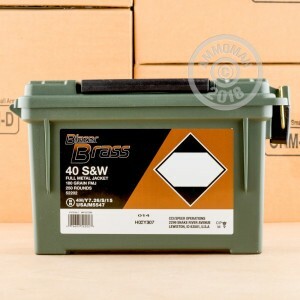 These 40 S&W rounds are brass cased for easy reloading. This particular item also comes with a handy Plano can for easily storing and keeping your ammo dry. 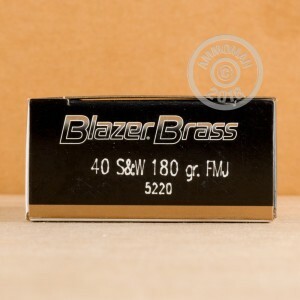 Blazer Brass munitions are manufactured of CCI, a well known US manufacturer of ammunition owned by the ATK company.